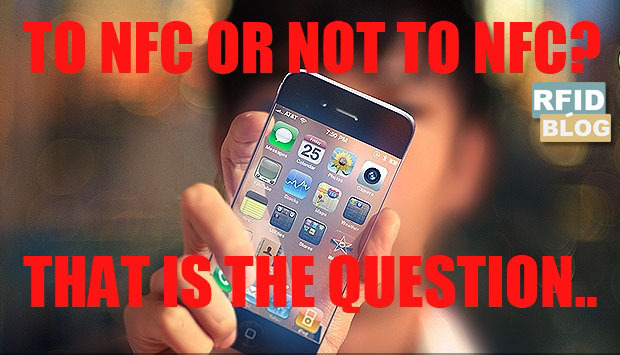 No iPhone 5 NFC Chip: Good or Bad Call? Apple has had its share of good calls and bad calls. Things like Ping were a bad call given that it has been removed from the new iTunes, whereas things like not including flash have been a good call. Originally critiqued for not including Flash support, the point has become mute as the web has been shifting to HTML5. And now that Apple has decided to have no iPhone 5 NFC chip, what does that mean for the technology. In their decision to not include Flash, Apple gave some reasoning. Among those reasons were app quality as well as the all important battery life. Likewise, the company has explained the lack of iPhone 5 NFC. They believe that the Passbook feature in iOS6 is a more viable and better option than NFC technology. Passbook can hold credit and loyalty cards as well as boarding passes and even concert tickets. According to Apple it is also more widely accepted for businesses making it more practical for consumers. And while it isn’t detailed, an iPhone 5 NFC chip could have cost Apple some valuable internal space. So at this point it can be difficult to predict the future of NFC technology. My personal opinion is that it is still a gimmick. Sure the technology is cool but it hasn’t developed enough or become popular enough to have a great amount of use. Really it depends on the reception of Passbook. If it becomes widely popular then that could deal a huge blow to NFC technology. Likewise, if it falls flat on its face then NFC technology will more likely be the direction of the future. We won’t have to wait long though, as the iPhone 5 and iOS6 will be available in the next couple of weeks. What are your thoughts on Apples decision about NFC? Does it make sense or was it a mistake to not include it?